Rate this Article Looking to get that chicken dinner in PUBG or PUBG Mobile? Well we've got just the tips and tricks for you! Player Unknown’s Battle Grounds or PUBG has been an instant hit ever since it’s early access days and doesn’t seem to show any signs of slowing down. It is a fast-paced Battle Royale game wherein 100 players are placed in an ever shrinking warzone. Players need to scavenge for guns, ammo, armor and health packs. You can choose to play solo, duo with a partner or in a squad. There is a lot of random variables in the game that ensures no match is ever the same, this keeps the game fresh and a bit challenging even after playing for a hundred hours. Here are a few beginner tips that you can use to secure that well-earned Chicken Dinner. At the start of the match, you will a ride plane that moves in a straight line and you need to make sure that you land in the right area. The plane’s flight path would be different for every match and the game currently has 2 maps so there is no assurance that you can land in the same location all the time. The goal of the game is to be the last man or squad standing, so getting a good head start will give you more advantage. I would suggest jumping into a spot with multiple buildings nearby as you would be able to get gears in buildings and the gears you find will definitely change with every match. What I can suggest is to check the flight path and try to target a location that is near the middle and a bit far from the plane’s flight path. You are expected to scavenge for guns, ammo, and other items so it is a good idea to gather as much as you can. But then again, you have limited inventory depending on the level of bag you have acquired; so, just try to only get what you need. The way to get the upper hand is getting the right gun for the situation; going for full automatic weapons gives you an advantage when fighting in close quarters but they lose effectiveness when trying to shoot farther targets. I can suggest getting one gun for closer targets and another one to snipe away at father opponents. And you also need to manage your inventory so throw away the other upgrades and ammo that you do not need. 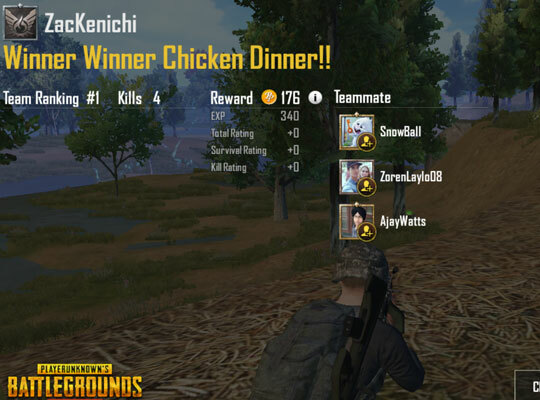 There can only be one team or player that can win the Chicken Dinner so you will need to best it out against a lot of players. Checking the map will give you an advantage. You need to decide whether it is best to hide in a spot or you need to move to a different location. The major factor that you need to consider is whether you are in the safe zone or not. If you can see that the blue circle is closing in on you then it is time to look for a vehicle and head out to the safe zone. 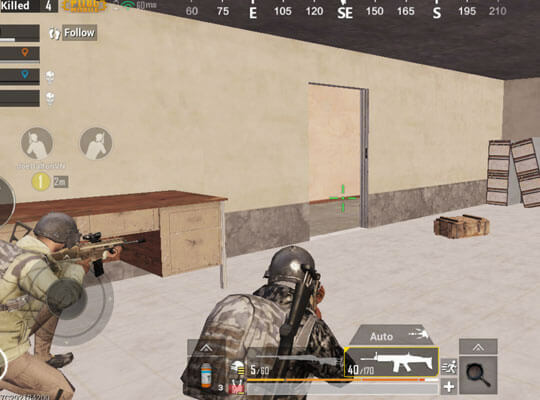 Once you are in the safe zone, it is a good idea to listen to the audio cues and markings on the map if there are enemies firing near your location or enemies that are walking near you. PUBG is currently the most successful shooting live battle royale game to date. And since the action is fast-paced, you might need to make quick decisions whether to heal or revive a teammate as those actions take time and you will be left vulnerable while executing those commands. Heading for a drop crate might reward you with better weapons and gear, or camping in a place might secure a victory. In the end, the game is all about decision making. There are risks in every decision that you will make. And since no match is ever the same, it will take experience in order to make the best one. I hope these tips helped and good luck, earn those chicken dinners!